Retro Interview: Roche, Kelly, Kimmage and Early were all top Irish road men in the 80s, but there was two pioneer riders from the Emerald Isle who burst onto the continental scene before them - Shay Elliott and Peter Crinnion were battling in the pro peloton when 'Anglos' were a novelty. Ed Hood caught up with Peter to hear his tale. 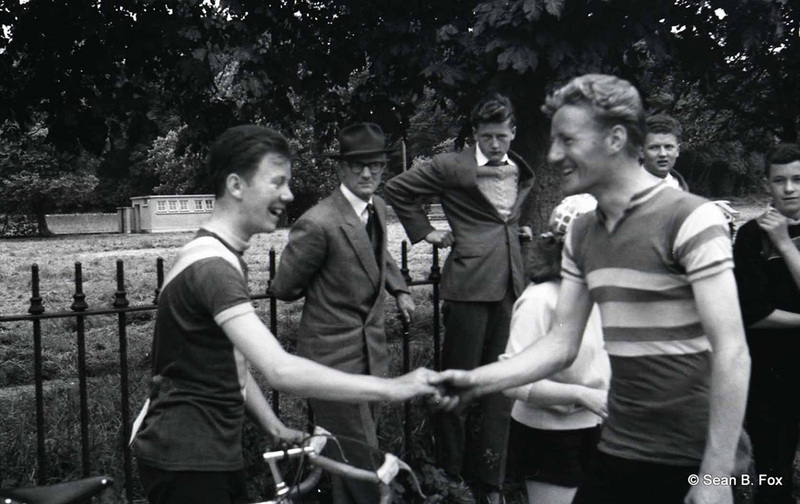 PEZ: What was the Irish cycling scene like when you started in the 50’s, Peter? Peter Crinnion: When I started cycling it was very popular in Ireland with good coverage in the newspapers and big crowds at races. And there was a good track scene in Ireland at the time. But racing cyclists were seen as being a bit mad! It wasn’t like now where cycling is accepted and popular with sportives and all of that culture. Unfortunately there was a lot of politics back then; there were two opposing federations in Ireland at the time with a lot of wrangling – something I didn’t realise when I started riding. PEZ: The 1960 season was your ‘breakthrough’ wasn’t it? That was Olympic year and my target was selection. There were four selection races, I won three of them and was second in the fourth one, due to the politics I knew I had to win the Nationals so there could be no doubt about my going. The whole scene was Dublin-centric and I wasn’t from there so I had to make sure. 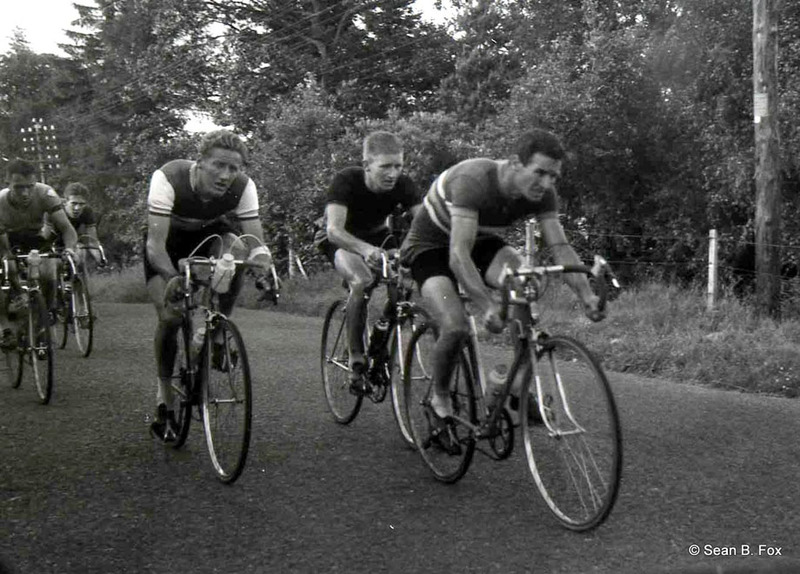 It was the first Irish cycling team at the Olympics since 1948 and due to our riding the Olympics we received an invite to ride the Route de France – but we had to pay our own fare to get there. I was really excited about the invite because it was a race Shay Elliott did well in and I wanted to emulate him. I got fourth place on the big mountain stage which went over the Peyresourde and was approached by a French chap about riding for his team in 1961. Sure enough, over the winter I received a letter inviting me to France to ride as an ‘Independent’ – a class where you could ride the top amateur races and against the professionals. Yes, it was a good set up with riders like Gilbert Bellone who went on to win The Criterium International and stages sin the Tour and Vuelta. But it was a tough baptism of fire; I hardly spoke a word of French and was thrown right in at the deep end – Genoa-Nice, Paris-Nice, Milan-Sanremo and the Tour of Flanders. Paris-Nice was tough, on the first day our Portuguese rider Barbosa – who won a huge number of races in Portugal - punctured, I had to wait for him and we never saw the peloton again, I clawed my way back up the classification a bit but it was a hard race. In Milan-Sanremo I was 40th – I could see the winner just up the road. . . 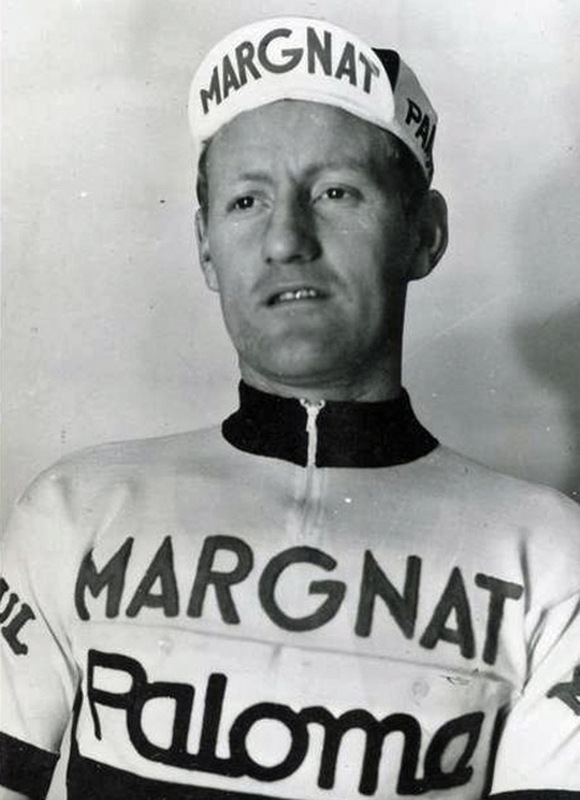 It wasn’t like it is now where ‘Anglos’ are an accepted part of the peloton, there was just me, Shay, Tom Simpson, Brian Robinson, Vin Denson and a few Germans – the rest were all Belgian, Dutch, French, Italian or Spanish and they didn’t view us in a good light. PEZ: For ’62 to you went to Urago-Pestrin; that was a good year for you? Yes, they made me a decent offer, including an apartment. I was seventh in the Tour de L’Avenir, third in the GP Nice-Matin, second in the GP de France time trial and won the Route de France. The Tour de L’Avenir was an unusual one because I was riding for the Great Britain team; when they invited me I grabbed it with both hands - but in Ireland we’d been fighting the Brits for 200 years and there I was, riding for them! The GB team was really strong, Bill Bradley, Billy Holmes, Peter Hill, Pete Chisman – all excellent bike riders. We took the team prize on one stage but it was a really good field; the GC winner was Antonio Gomez del Moral who went on to be Spanish professional champion and won a lot of big races in Spain including Vuelta stages and the future Tour de France winner and world champion, Jan Janssen of The Netherlands was third. It was a tough race, 14 stages with no rest day; I had two bad falls, I had a wound on my hip where you could see the bone, it troubles me to this day – the race doctor would have nothing to do with me, he said I should be out of the race. The parcours was over much of the Tour de France route but our early stages were faster than the pros – the pro racing was controlled but in the Avenir they went off like lunatics every day. The Route de France was a race I wanted to excel in, I could ride it as it was open to independents; Shay had done well in the race and came close to winning but for a puncture at a bad time. It wasn’t like it is now, you had to change your own tyre if you punctured, there was no race radio and collusion between teams was strictly forbidden. Lucian Aimar of France, who’d go on to win the Tour de France was a big adversary and we had right battle. There was a whole array of top riders in that team including Darrigade and the climber, Federico Bahamontes, the first Spaniard to win the Tour de France. 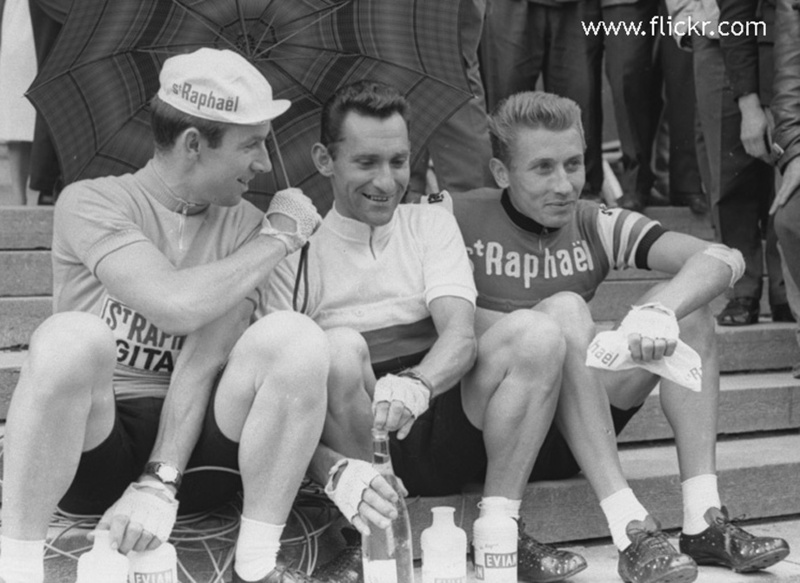 The problem was that I spent most of my time working for Darrigade and the manager couldn’t see past Bahamontes. I remember one occasion in the Tour of Catalonia, I was in a move which was three-and-a-half minutes clear but I was ordered to sit up and my own team chased me down. It was hard to swallow - you were in the right place and knew in your heart you were capable of being in the mix with the best guys but had to follow team orders. PEZ: And you were to continue with Margnat for 1964? Yes, but a rule came in from the French Federation limiting the number of foreigners who could ride for a French team. I think the ratio was four French to one foreigner – and even though you had a contract, you were out. I received a telegram in February saying that the team couldn’t honour my contract – there were four of us let go. I rode solo and picked up a contract to ride the Dauphine for Saint Raphael but my form wasn’t good. PEZ: Lamont-Libertas in Belgium for 1965? 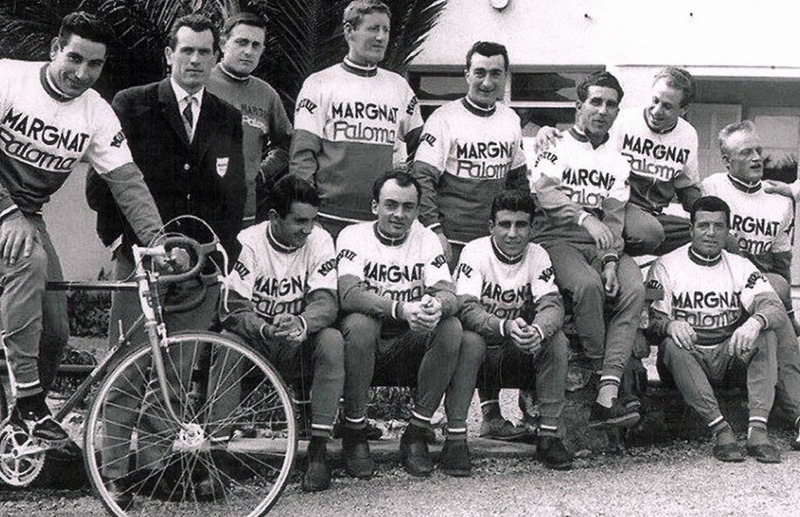 I got a contract with them but the day after I left France a letter arrived at my address from the Mercier team’s director, Antonin Magne offering me to ride for Raymond Poulidor – but of course I was gone. There were no communications back then like there are now and because Magne didn’t receive a reply he thought I’d snubbed him. Lamont-Libertas was a disaster, the team folded in June when it was discovered that the team manager, a guy called Willy Riem had been embezzling the team’s funds. The other big blow I remember from that team was when we rode Paris-Brussels, a beast of a race over 286 kilometres; it was down to 14 of us at the end and our man Roger Verheyden was second to Ward Sels. I thought: “Brilliant – I’ll have a good cut of the prize money!” But then the news came through that Verheyden had tested positive and there would be no prize money. PEZ: Was ’65 your last season then? No, I rode a season up in Brittany with Shay; I was ‘hors categorie’ (special category) with Boreal-Urago, we were all ex-pros on the team so it was a strong squad - there was a big criterium scene there and I had five wins. I finished in 1967 which wasn’t a bad year either but I was disillusioned with the criterium scene, there were a lot of fellows charging up back then. And then my wife’s father died so we moved back to Ireland. PEZ: Your finest hours, Peter? Winning the National Road Race Championship on own with no team support was special. And winning the Route de France was wonderful, picking up the baton from Shay. 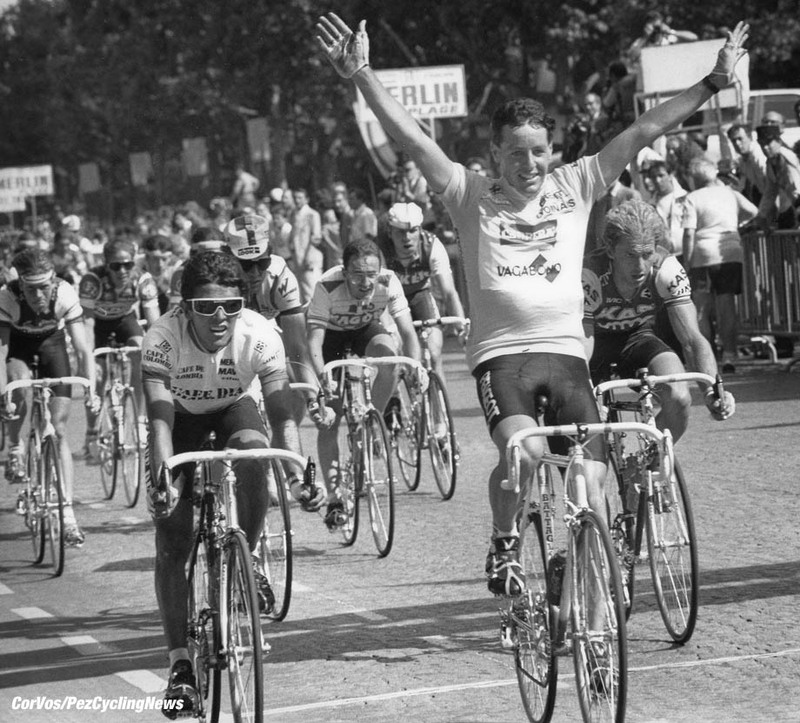 Stephen Roche’s Tour win in 1987 was marvellous, a huge achievement on top of the Giro and then he won the Worlds. I tried to give a lot back to the sport after I finished racing - and coaching Stephen is something that gave me a lot of satisfaction. I was Irish team manager at the Munich Olympics where he rode and organised his contract with Peugeot for 1981. I nourished him; we’d speak on the phone every week – I knew the races he was riding, the parcours and the way the races usually developed. Our big standing joke is that he was only second in the Route de France but he got sixth to my seventh in the Tour de L’Avenir. I’ll always remember being on the open top bus with him driving through Dublin after his Tour win – wonderful. PEZ: And if you could do it over again? Good question! I was on my own, a pioneer, it would have been good to have an adviser, I had to do it all on my own. When I won the Route de France there were no mobile phones or computers, I used to have to write home to arrange a time for me to call – you didn’t really have the chance to enjoy your successes, there was no own to share them with. When I was second in the Grand Prix des France time trial my manager didn’t turn up with my light wheels, I had to ride on training wheels. I got an invite to ride the Grand Prix des Nations on the strength of that ride but I had no back up so couldn’t accept. Riders get so much help now. But I had a long career, I had my successes and I passed a lot on to Stephen so I can’t grumble too much.